CLASS SETUP: This setup allows you to enter the information of class and sections of the school,to automate the management of your school. FEE SETUP: This allows you set up your basic school fees structure. SMS ALERT: This software setup an SMS alert for each individual student to their parents. STUDENT ADMISSION SETUP: It provides admission procedure of the school so that student can admit directly to school without filling inquiry form. ATTENDANCE MANAGEMENT: Easy to maintain the attendance record of the student, and display the attendance information clearly through the graph. TIMETABLE MANAGEMENT: It is the best solution for managing the timetables in a simple way. It includes class duration, faculty availability and avoids conflicts in timings. LIBRARY MANAGEMENT: It maintains and tracks the allotment of books to the students and stock management. ONLINE REGISTRATION: It provides an online registration for school prospectus, result, fees receipts and selected candidate’s record into admission. SUBJECT SETUP AND MANAGEMENT: Allows you to enter the basic information about the subjects, so that student can easily analyze the subjects. STUDENT CLASS BOOK: It is used to evaluate student class work, homework, assignment, projects etc. PARENT PORTAL: This setup allows the parent to log in to view their child status, like attendance, exam result, records etc. ONLINE SCHOOL DIARY: It provides the facility of online school diary to update parents about their child performance, remarks, notes etc. ONLINE SCHOOL NOTICES: This provides the facility of online notices and announcements which is posted by the school to keep parents informed about upcoming events, news, exams. 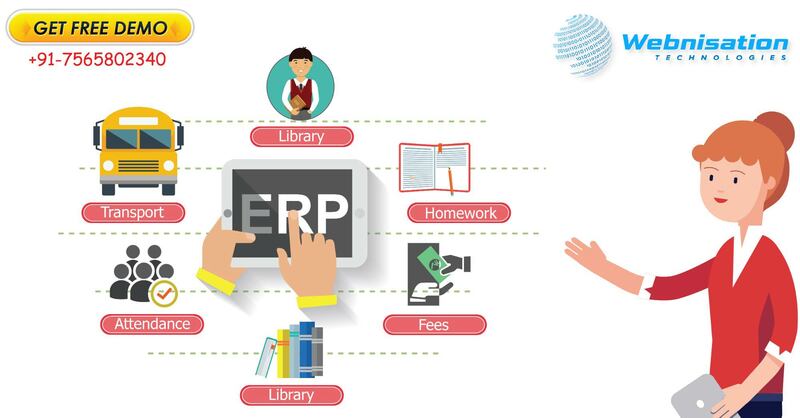 So, School Management Software is the most important part of school, organization, to manage or automate the systematic management.